Should the Boston Celtics trade for Anthony Davis? 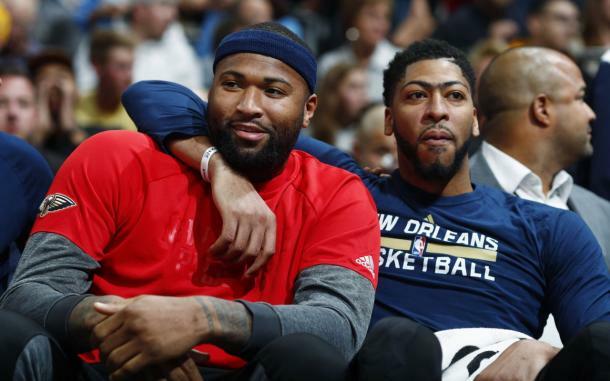 The New Orleans Pelicans' experiment with DeMarcus Cousins and Anthony Davis isn't working as well as they hoped, as they are only 15-15 for the year. The Boston Celtics are still interested in the Unibrow. Would a trade for him be beneficial or ruin the momentum they have gained so far? The New Orleans Pelicans are kind of in a pickle. Last season, they traded Buddy Hield, Tyreke Evans, Langston Galloway, and a 2017 first and second round pick for DeMarcus Cousins and Omri Casspi. The team was hoping to create a new Twin Towers in Boogie and Anthony Davis. Despite both players playing well, the team itself isn't, and with Cousins' expiring contract, they have to question whether they should continue the experiment or call it quits before it's too late. On the other hand, the Boston Celtics are looking golden. They rest at the top of the Eastern Conference at 26-7, with the Cleveland Cavaliers sitting two games behind. Kyrie Irving is looking great in a Celtics uniform. He may not be scoring as much as Isaiah Thomas did last year, but the improvement on defense is apparent. Irving's defensive rating this season is an average 103.1. Thomas' last year was a horrible 108.6. Also remember that they have been great without their biggest free agent acquisition in Gordon Hayward, who may still play this year. 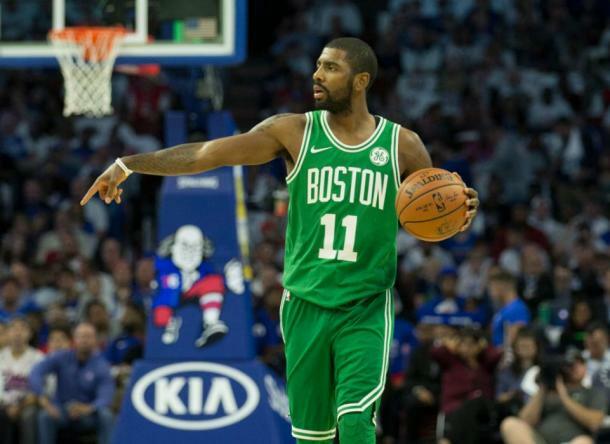 Kyrie Irving and the Boston Celtics have been clicking great, as they rest atop the Eastern Conference. Photo Credit: Mitchell Leff/Getty Images. So yeah, the two teams are on very different sides of the spectrum. The one player that they have in common: Davis. The Celtics have been interested in the all-around star for a while, as he is a force on both sides of the ball. The Pelicans have the chance to rebuild if they deal with him, which may be a wise move considering the unlikely chance Boogie comes back. Pelicans General Manager Dell Demps has told Davis that he won't be traded, but who knows how honest he's being. Here's a look at what a Unibrow trade would entail and if it works for both teams. What do the Celtics need to give up? From a value standpoint, they will need to trade a lot for the Pelicans to accept, well, unless the latter decide to be idiots. I believe that they need to give up the Los Angeles Lakers 2018 first round pick, either Jaylen Brown or Jayson Tatum, and two of Marcus Smart, Marcus Morris, and Aron Baynes. However, to make the financials work, they will have to add three of the four following players: Guerschon Yabusele, Shane Larkin, Terry Rozier, and Semi Ojeleye. Since this is a lot of players for simply one, a third team may have to be involved, but just know that the Celtics will have to give up a high pick, one of their two young stars, two of their best bench players, and three other solid ones. That's a lot. Just a visual representation to show what the Boston Celtics have to give up to make the trade financially possible. Photo Credit: ESPN. Jaylen Brown or Jayson Tatum? While the team has to make choices as to who they're going to give up, the most important decision is who to deal amongst Brown and Tatum (that's if the Pelicans aren't targeting one or the other). They are both very promising small forwards: the former a potentially very athletic and capable 3 and D player, the latter a Paul Pierce look alike. With Hayward's injury, they have both received ample playing time. Brown is averaging 14.5 points and 5.8 rebounds per game while shooting almost 40% from deep. On the other hand, Tatum is averaging 13.8 points and 5.7 rebounds per game while knocking down a staggering 51.5% of shots from beyond the three-point line, also best in the league. Dude is shooting better from deep than inside the line, where he is making 50.5% of his shots. Considering the Celtics' proficiency in defense and their solid but not amazing 37.3% shooting from deep, they should retain Tatum. Three and D players are very effective (this is coming from a Houston Rockets fan) and Brown might be one of the best at it. However, there aren't many players that are as offensively gifted as Tatum. He's already looking great as a rookie, give him some more time and he can be excellent. 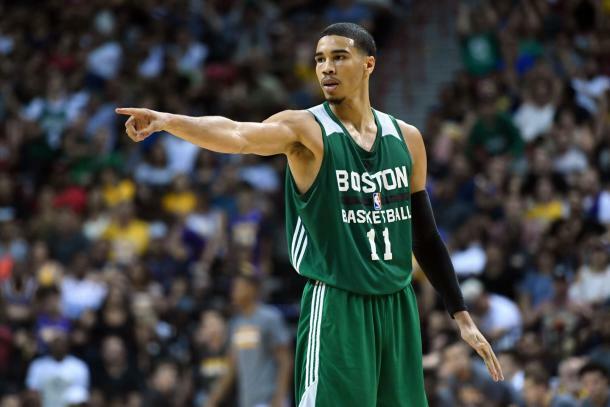 Jayson Tatum's offensive output has put him in talks for Rookie of the Year with Ben Simmons and Donovan Mitchell. The Celtics cannot get rid of such a promising talent. Photo Credit: Joe Camporeale/USA TODAY Sports. Does this make sense for the Celtics? Of course. There's no doubt about it. People are worrying that it will disrupt their rhythm or that they'll become like the Lakers previous Big Three or the Oklahoma City Thunder's current one. It may somewhat this season, but let's be honest, the team isn't going to win a championship if Hayward isn't healthy. It may not seem like it, but this is a move for the future, as Davis is under contract until 2021. Just imagine this starting lineup: Irving, Tatum, Hayward, Al Horford, and Davis. They will have one of Smart, Morris or Baynes coming off the bench as well as Rozier (who I think they should keep amongst the third group of guys they have to trade). They can probably land a couple of solid bench players from free agency and voila, a team that will rule the East, especially if LeBron James leaves Cleveland next year. Davis will provide the Celtics with something they haven't had since Kevin Garnett: a dominant interior presence and great rebounding. Horford is underrated but isn't that kind of player. In the age of super teams, the Celtics need to take a risk, and possibly the smartest one would be trading for Davis. Does this make sense for the Pelicans? People will argue that this trade makes no sense for the Pelicans because they aren't getting enough in return. I'll admit that, value wise, this trade isn't the fairest. However, New Orleans doesn't have much room to negotiate. While the Anthony Davis DeMarcus Cousins pairing may still work, Boogie may not stay long enough to find out, as his contract expires this season. Photo Credit: AP. The Celtics aren't about to give up both of their young stars or any of their established ones. Worse comes to worse, they move on from Davis and target someone in free agency, potentially Boogie. Also, with Cousins' imminent departure at the end of the season, the Pelicans will be back at square one, possessing a star that may become disgruntled due to the lack of team success and only one solid player surrounding him: Jrue Holiday. They have a great chance to rebuild, which may be their only move after sacrificing almost everything for Boogie. They will have a young star in Brown and two high first round picks considering they don't do nearly as well without Davis. The Celtics can also throw in more future picks to sweeten the deal. If they trade Cousins as well, then that's even more pieces to construct a great team in the future. Obviously, Pelicans' fans will not be pleased. If Cousins stays, then it's a completely different story. 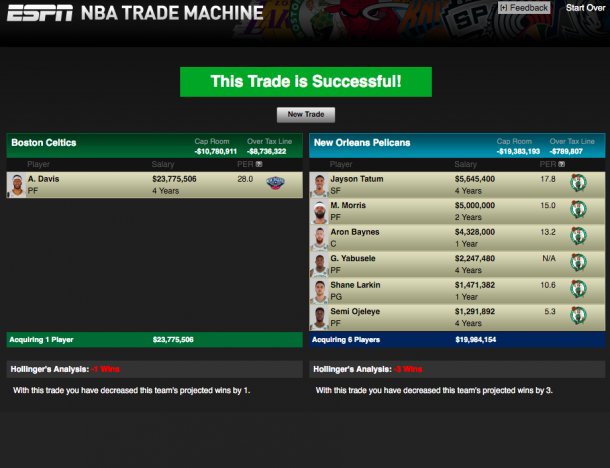 I think that this idea can still work, if the Pelicans can improve at the guard position. But considering Cousins' personality, I don't envision him committing long term to see if the experiment works. 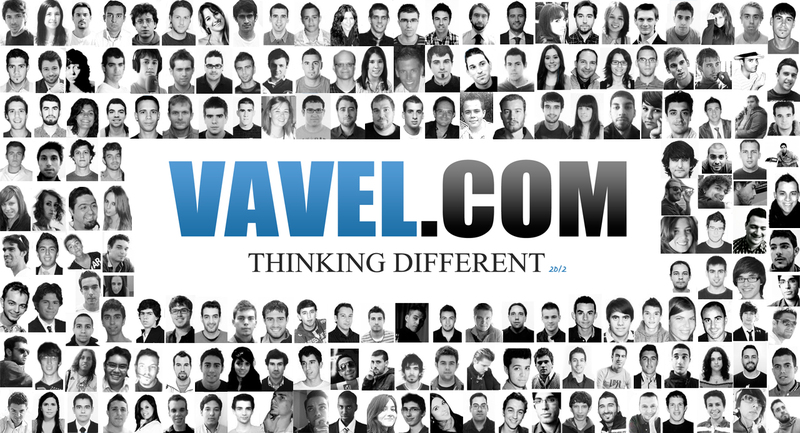 That's why this may be the type of move that the team needs to make to compete in the future. Williamson or Morant? Which would help the Suns improve more? Could Jimmy Butler and Kawhi Leonard team up in LA with the Clippers?